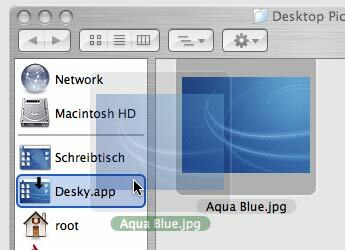 Desky is a program to change the desktop-picture fast and without System Preferences. Simply drag a picture on Desky. It will check the format and change the desktop to this picture. You can also drag Desky into the Sidebar to use it there, or into the Menu of the Finder window.